Japanese authorities announced on Monday their investigation into the deadly collision between the USS Fitzgerald and a Philippines commercial freighter is nearly complete, though they have received no cooperation from the US. 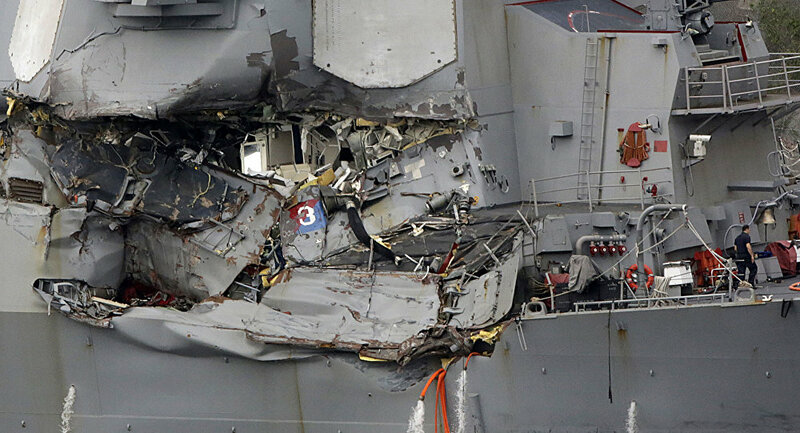 The initial findings of the investigation pointed to the crew of the USS Fitzgerald being at fault for the crash, with one unnamed Defense official telling CNN that the crew "did nothing until the last second," and "A slew of things went wrong," while a second official said the incident will likely "wind up being our (the US Navy's) fault." US Navy chief of information Rear Admiral Dawn Cutler responded to this reporting in a Friday statement saying, "It is premature to speculate on causation or any other issues. Once we have a detailed understanding of the facts and circumstances, we will share those findings with the Fitzgerald families, our congressional oversight committees and the general public." Tom Fedyszyn of the Naval War College explained to the New York Post that the protocol for acknowledging an approaching ship is pretty straight forward, saying "If you looked off the bridge [of a ship there], you would see lights," and that "You see something big coming at you and you call [the bridge of the oncoming vessel]…You tell them where you are, what your speed is, and you ask them to tell you their maneuvers."